The Wild re-signed restricted free-agent offensive defenseman Mike Reilly to a two-year, $1.45 million contract Monday. He'll earn $675,000 next season and $775,000 in 2018-19 for a $725,000 cap hit. 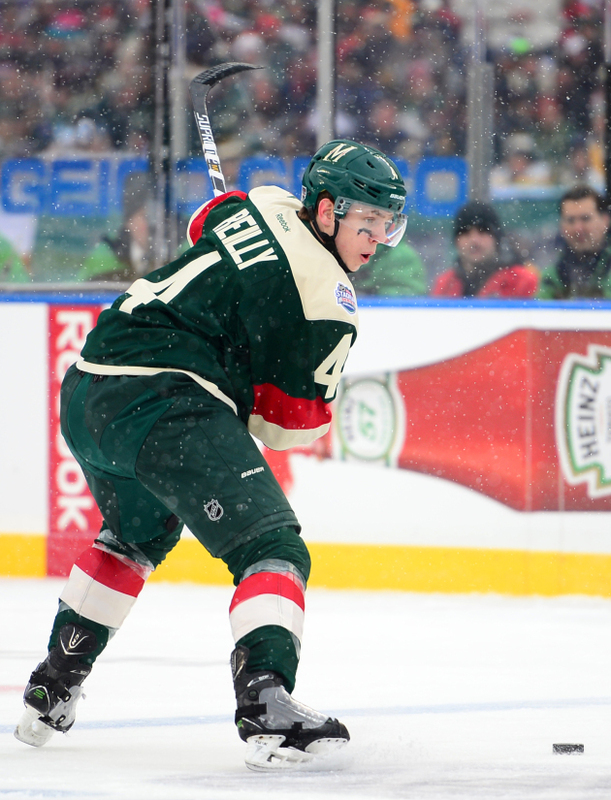 It’s the same one-way contract signed by young defenseman Gustav Olofsson the previous week and gives Reilly his best chance at cracking the Wild lineup permanently next season. Reilly, 23, scored one goal in 17 games with Minnesota last season and led Iowa defensemen with 25 assists, 30 points and 129 shots last season. In two seasons with the big club, Reilly has scored two goals and eight points in 46 games. #MattCullenWatch continues. I believe he's still talking with the Wild, and other teams, and is contemplating if he'll play next season. It's very clear the Wild needs a center or at least one other NHL forward. I'm filling in on KFAN on Wednesday 9-noon. Guests include newly-acquired Wild forward Marcus Foligno and Dallas Stars coach Ken Hitchcock. No team has done more to improve this offseason; the Stars have acquired Alex Radulov, Marc Methot, Martin Hanzal and Ben Bishop + Hitch.